Slaves of the Shadow Realm is by itself a destructive gust. For many, Legion of the Damned doesn't mean a lot and usually they are overlooked, but the truth is hidden because of drummer Erik Fleuren and vocalist Maurice Swinkels when they started off their career with their first band called Occult from the Netherlands around 1992 and under this name, they were able to release five full-length albums from 1994 up to 2003. Due to unknown reasons, the band name was changed to Legion of the Damned. So far, they have released a total of seven albums including their latest album entitled "Slaves of the Shadow Realm" that was released a few days ago. 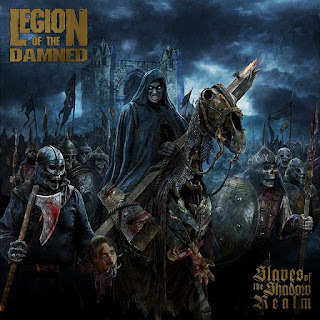 Legion of the Damned plays a very aggressive and riff-driven thrash with an utter death feel as few bands have been able to achieve like Sodom, Destruction, and Kreator with some rawness of early Slayer sound. 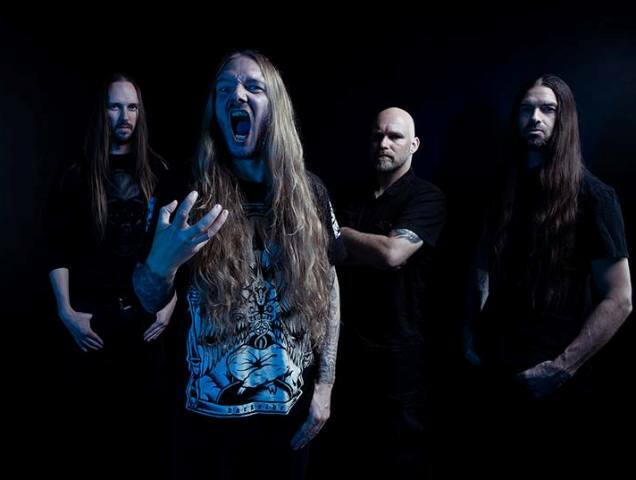 The band currently is formed by drummer Erik Fleuren, the vocalist Maurice Swinkels, bass player Harold Gielen (Inhume) and guitarist Twan van Geel (Soulburn). "Slaves of the Shadow Realm" is by itself a destructive gust holding nine tracks that barely reach the thirty-eighth minute mark. Leading this attack comes "The Widow's Breed," it blasts your speakers due to the heated guitar riff with ferocious snarling vocals which at some point throw me back to the "Agent Orange" era of Sodom. The next track is "Nocturnal Commando" which delivers such a sense of animosity and punishment for the intense blast beats and the corrosive guitar riffs that were played by Teutonic masters of Kreator. Then come "Charnel Confession," which keeps the tone and pace as the previous track with blistering drums and a crushing riff, the entangling vocals are always at its top range that delivers the right feeling. "Slaves of the Southern Cross" takes a slower and rhythmic approach, but it sounds heavy, sharp and punitive like Destruction does. "Warhounds of Hades" grabs the sledgehammer and practically smashes your brain with such an instigator guitar riff that it achieves a rawness that I can only compare to Slayer beginnings. Then comes "Black Banners in Flames," which brings a fresh feeling to the album due the old school harsh riff suchlike Sodom and Kreator and I mean it, "Shadow Realm of the Demonic Mind" seems like shifting things away from its natural path because the exquisite piano introduction, but soon as it ends, the slaughter begins lashing out with their axes and beheading everyone around when the drumming turns intense and devastating, while the galloping guitar riff comes effectively to complement this track. "Palace of Sin" again retakes the rawness and aggressivity scourged similarly like "Hell awaits" from Slayer or "Endless Pain" by Kreator, the last track in the CD version is "Dark Coronation / Outro" it's not exactly what I was waiting for to end this album, I missed the intensity in the drums, I missed those sharp riffs that they showed throughout the album, vocally it is not so effusive or outstanding. 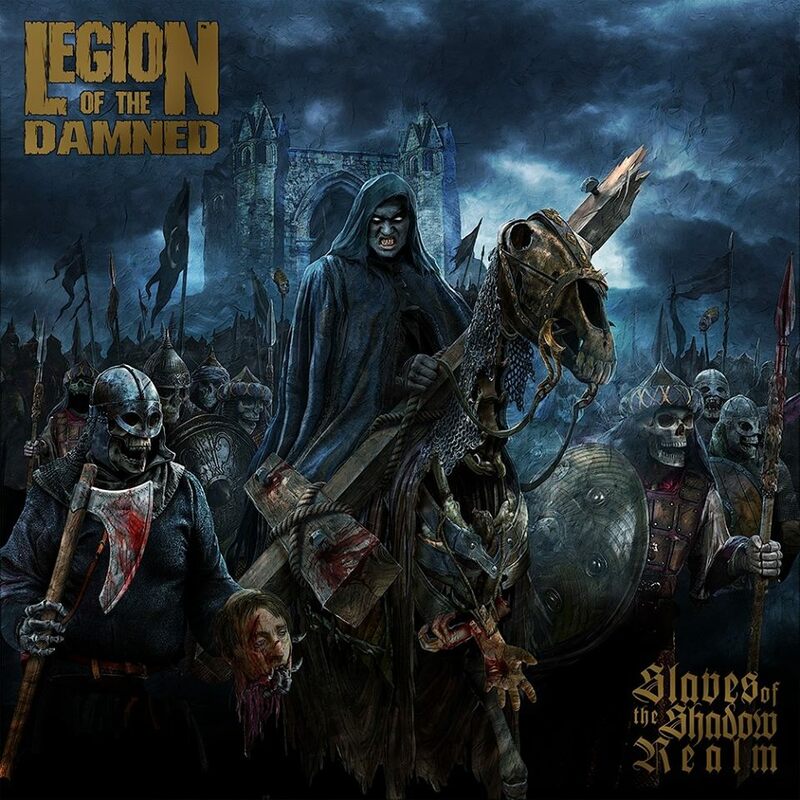 "Slaves of the Shadow Realm" brings up a pleasant vibe, currently a few bands like Legion of the Damned are capable of creating a Death / Thrash metal just as they do it, the album carries a great variety of inspiring riffs and don’t forget the drums which were very engaging and precise, while the vocal department doesn't have much to complain because Swinkels knows how to fit smoothly on each track. The negative, is the CD version is to short, so go for the limited edition which includes two bonus tracks "Priest Hunt" and "Azazel's Crown," the other unfavorable point is the closing track, which wants me seeking more unrelenting forcefulness.